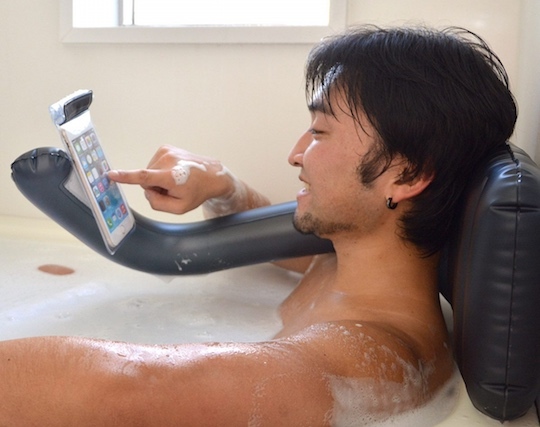 Take your phone or other mobile device into the bath now without having to hold it in both hands for fear of dropping it in the water. 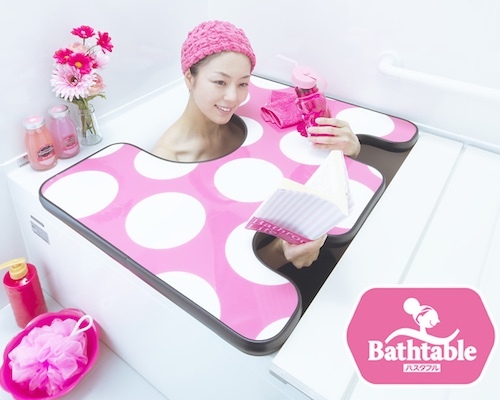 Thanko have come up with the Bath Air Pillow Smartphone Holder. 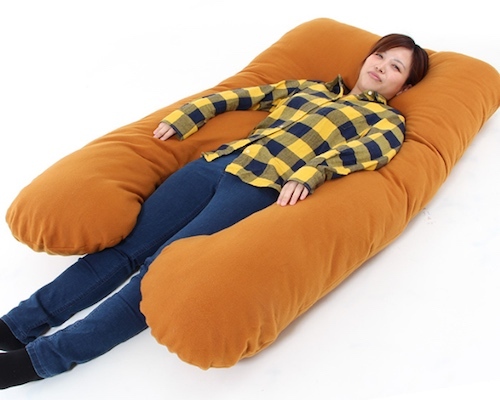 Available in white, pink or gray, you can lean back on the inflatable cushion and enjoy browsing on your phone. 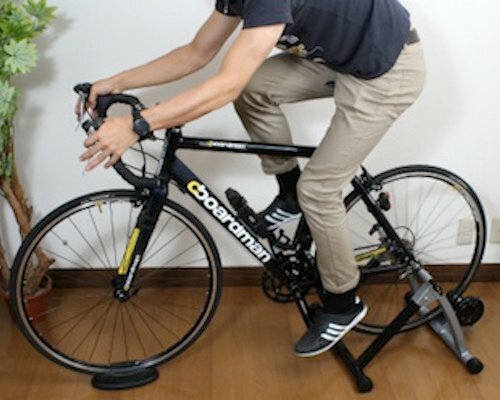 You only need to use your hands when you want to change the screen. 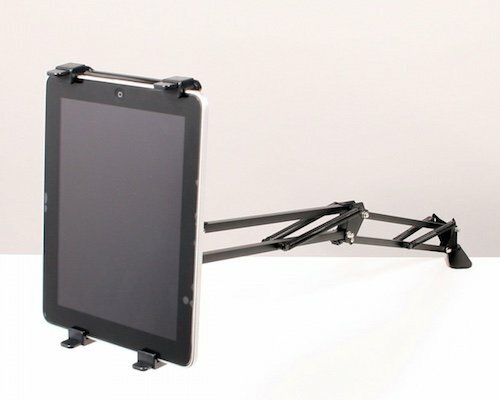 The arm hooks around over your shoulder and lets you look at your mobile device, safely sealed in a waterproof case. The arm length is adjustable and the splash-proof cover should hold most standard-sized smartphones. All you need do is blow it up with air and then slide your device into the case. 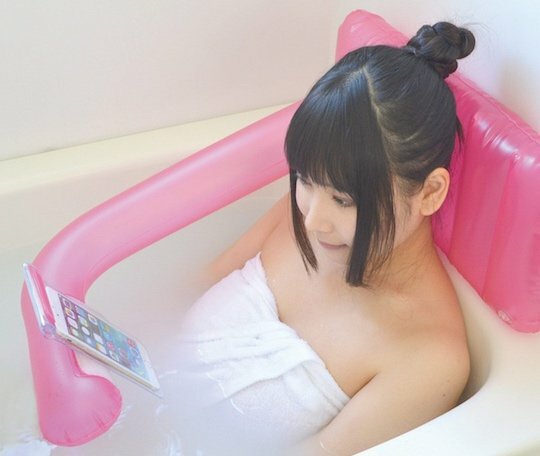 Out of the bath, you can also use the air pillow as a head cushion for taking a nap. 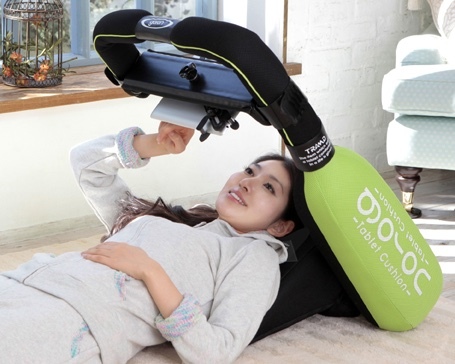 You can even use it like some of Thanko's other handy "lazy" gadgets, lying down flat on the cushion so you can read or look at the screen handsfree while relaxing.